Independence Day is almost here. Disheartening as is the current state of our nation, we have much to be thankful for as American citizens. We attend church freely. We can easily access the teaching of faithful pastors (even if we need the internet to do so), and we can even read Scripture and the Lutheran Confessions online for free! Let us give rejoice in the many good gifts God has given us. Let us even thank Him for placing us in this time and place, because we know that the work and plans of our Lord are good. 1. Speaking of Independence day, last year we ran a Q and LA on patriotism and parenting. If you are still looking for more ideas on celebrating the Fourth with kids, check out Mollie Hemingway's piece on that topic. 2. Do you follow Issues, etc.? You should! Podcasts can make supper clean-up a lot more intellectual. I was on the air recently, talking about my Federalist article about book bans and trigger warnings. You can listen here. 3. I stumbled across Our Broken and Beautiful Adoption by Natalie Patterson, and found the author's story moving. She writes about slowly deciding to adopt a foster child whose needs had made her feel that she would be an inadequate forever-mother, and who, in fact, she had difficulty loving as well as she thought she ought. In the end, although the author does not use Lutheran language, it is a story of learning about grace through vocation. "[God] gave loads of grace to the people in my innermost circle and helped me to understand that I was not loved for my ability to be inspirational or always have a cheerful disposition or mark everything off of my to do list with perfection. "While I was learning how to love [my foster daughter] well, I was learning to allow myself to be loved well. As I grew a mother’s love for this child, I grew in my understanding of the love my Father has for me." More. 4. I almost always click on things that reference our dear departed Jane Austen. 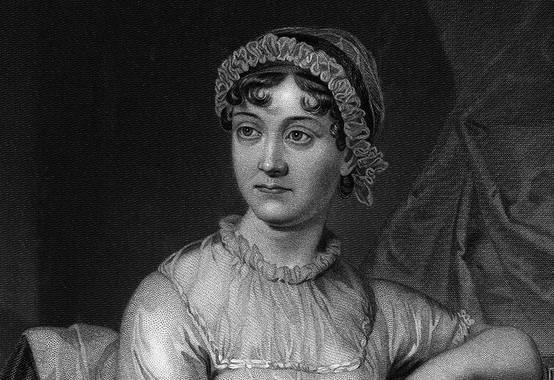 I enjoyed reading "What Jane Austen Can Teach Us About Modesty" by Angelina Stanford. "But there has never been a time when women did not want to attract the attention of men. And there has never been a time when there wasn’t conversation about where the line of propriety lies. There was no golden age of history when everyone agreed on what constituted appropriate, modest behavior and dress. Even an old fashioned dress can be alluring and inspire lust in the right circumstances. . . .
"In the character of Elizabeth, Jane Austen reveals that the real issue is wisdom, not rules. It’s easy to get caught up in hard and fast rules to ensure virtue (and happy outcomes), but life is never that simple and neither is Christian living." MORE. 6. You may have seen this via our Facebook page, but here's another of my recent pieces: "Would Your Kids Recognize An Ideological Kidnapper? Five ways to teach children to enjoy good stories without getting brainwashed." It's a subject about which I feel strongly and upon which I have many, many opinions. 7. Did you miss Cheryl's piece, 8 Ways to Help Grieving People? 8. Curious about the medieval source of our main site image? Check it out here.